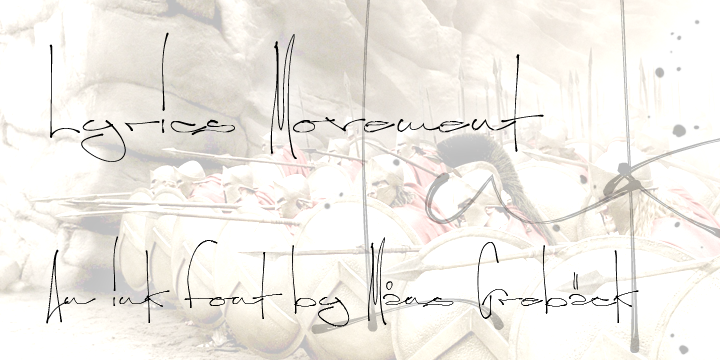 Lyrics Movement font is handwriting font which is designed by Måns Grebäck. This font is labeled as Handwritten font. Lyrics Movement font family has 1 variant. NOTE: This font is for PERSONAL USE ONLY! 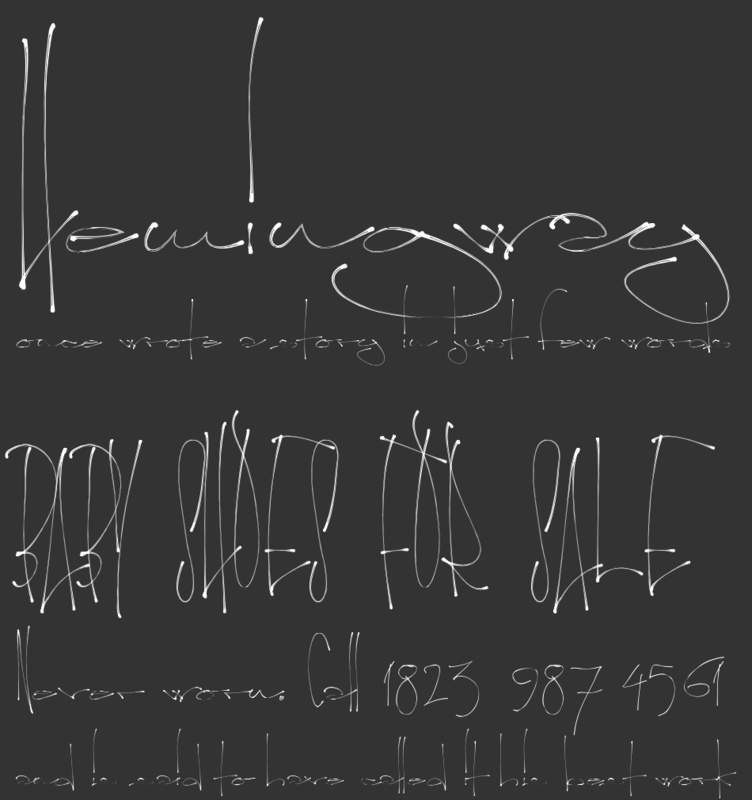 To purchase a commercial license, visit: http://www.mawns.com/fonts.html?font=lyrics-movement For questions or proposals, feel very free to mail mawns@live.se Visit my website: http://www.mawns.com Like my fonts on Facebook: http://www.facebook.com/mawnsfonts Donations are very appreciated! Lyrics Movement font is one of Lyrics Movement font variant which has Regular style. This font come in ttf format and support 336 glyphs. Based on font metric, Lyrics Movement Regular has usweight 400, width 5, and italic angle 0. This font is labeled as .